Adopting a wait-and-see approach, asset managers see risks in startups’ technologies and prefer established firms’ new initiatives. Boston, September 3, 2015 – In June 2015, World Business Research held a Fixed Income Leaders Summit predominantly for buy-side players, including traders and portfolio managers. The summit offered an opportunity to gain a better understanding of how asset managers of all sizes are dealing with liquidity, new and yet-unknown regulations, and the costs and risks of new technologies. This research is based on a survey of conference participants taken at the event and Q1 and Q2 2015 phone and face-to-face meetings with market participants. 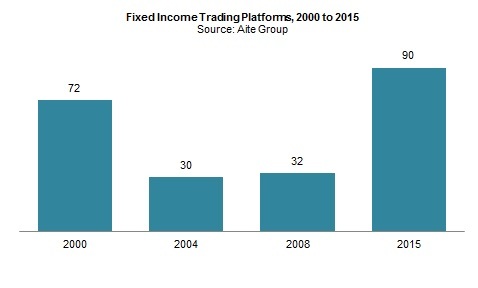 It conveys the participating buy-siders’ perspectives on the state of fixed income trading and technology, and outlines most firms’ wait-and-see approach. This 16-page Impact Note contains 15 figures. Clients of Aite Group’s Institutional Securities & Investments service can download this report.